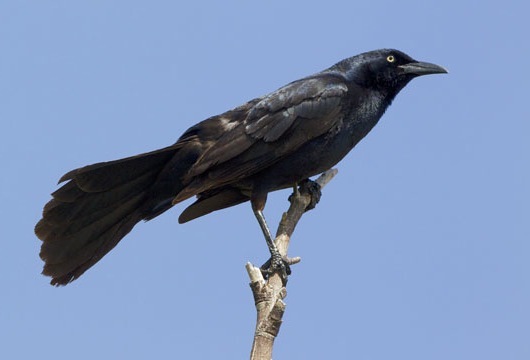 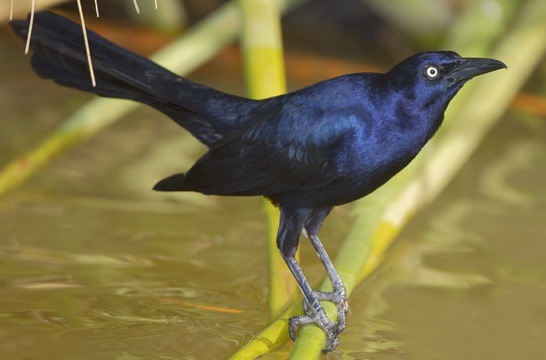 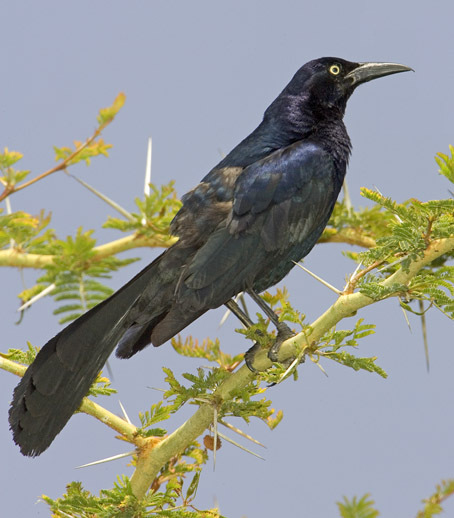 Great-tailed grackles (these are males) are large, noisy, aggressive birds with glossy blue-black plumage, staring yellow eyes, and -- as their name implies -- very large tails. 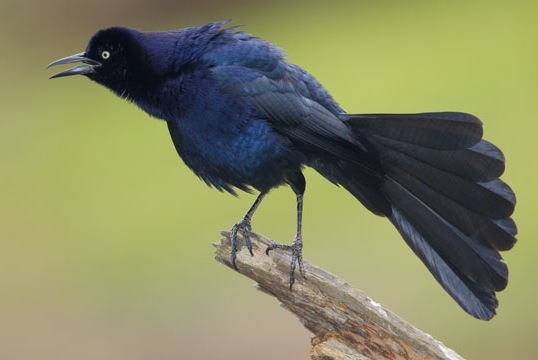 They are rapidly expanding their range to the northwest and these were photographed near Escondido, California, and at the San Jacinto Wildlife Area in Riverside County, California. 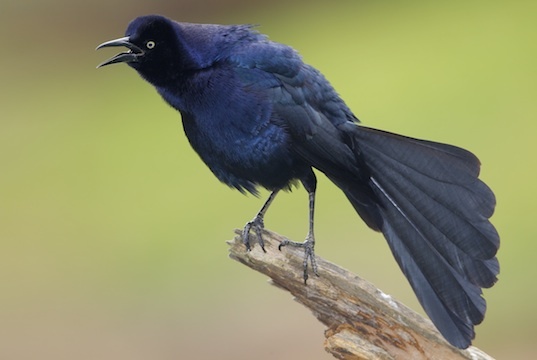 Two of the photos on this page (both at right) are of a displaying male.